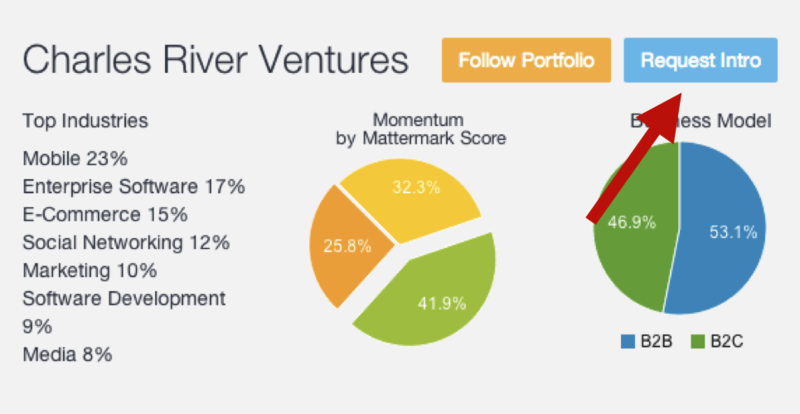 Mattermark leverages big data to help investors identify the most promising private companies, but getting a list of prospects is only the first part of the sourcing process. 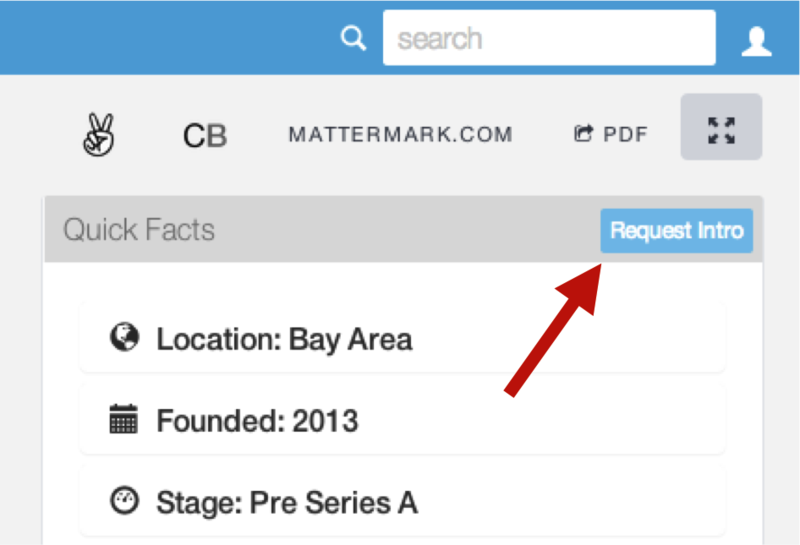 Today we are excited to announce our new Request Introduction feature to help connect our customers with the investors and founders they find through Mattermark. Request introductions to more than 5,000 investors and nearly 300,000 companies in Mattermark, and we will do our best to fulfill the request with a warm, double opt-in introduction. When it’s time to get serious with a company, there’s no substitute for an in-person meeting to really evaluate a founder’s passion, communication skills and vision. But with the rapid proliferation of startups, what if you don’t have a connection that can give you a warm introduction? Ready to start connecting with the industries leading venture capitalists, angel investors, accelerators and founders? Log into Mattermark to source your next deal, or sign up for a free 30 day trial now.